This month’s Donor of the Month story is about one girl who thought she could make a difference, so she did. Judy Rhee, a junior at University Hill Secondary School, is an incredible young woman who was so inspired after reading Malala Yousafzai’s book she started a Girls’ Education club at her high school. 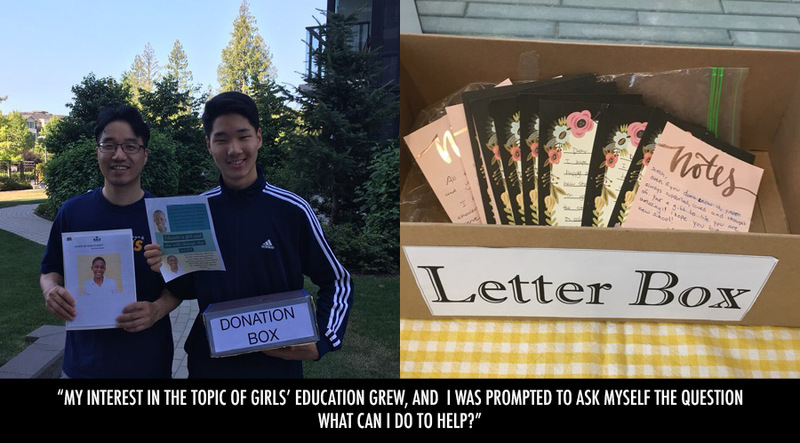 Through her club she has raised awareness at her school about the challenges facing girls in many developing countries, and also fundraised to keep two students in high school! Tell us about why you started your club, RoadToSchool: Girls’ Education. While reading I Am Malala, I became aware of the fact that not every child in this world had the opportunity to safely attend school. For the first time, I truly realized the urgency of this problem. What motivated you to fundraise for Sarah & Kavutha? After the opening of RtS, our club was tasked with selecting a charity organization we could donate to. After researching about One Girl Can, I discovered that 100% of donations is spent on girls’ education projects, and that it is locally-based, which would facilitate communication and and help us to connect with the organization; One Girl Can was the perfect organization for RtS. Our club members read the sponsorship applications and sponsor letters of high school students Glory, Sarah, and Kavutha. Though our club initially sought to fundraise for all three students, I soon realized that sponsoring two students may in and of itself be a challenge for our club. I learned that Sarah and Kavutha were the oldest of the three students, so I decided to fundraise for the two girls, as I hoped to help them graduate secondary school without delay. We had an iTunes cards sale and we received direct donations from the students and staff of our school. Students were also invited to write encouraging messages to Sarah and Kavutha. Because we were not able to raise enough funds in the three days, however, RtS continued the fundraiser into the summer. Community residents supported our cause through donations and by writing messages. 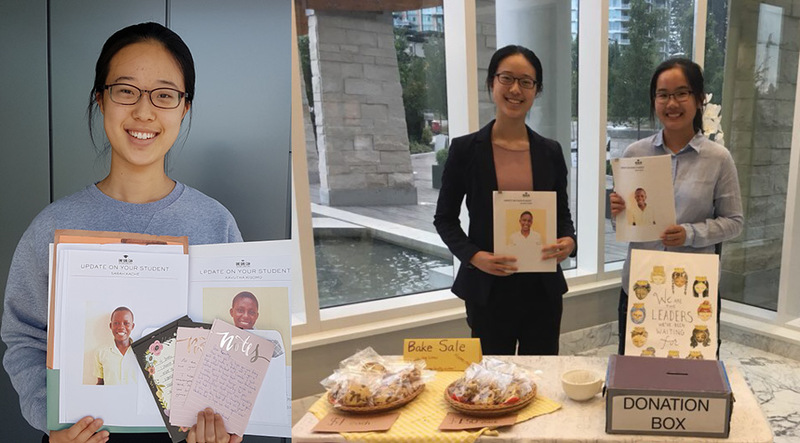 We concluded the RtS Club’s 2018 fundraiser with a wrap-up event (for the residents in our community), in which I held a brief presentation followed by a Q&A session and a bake sale to raise funds for our initiative. This fundraiser was successful thanks to the incredible support of my neighbours, members of the community, and my family. What message would you share with other high school students in Canada? My message would be that, if you are interested in an issue that affects someone—or something—and you would like to take action to help alleviate the issue, a fundraiser is an effective tool you can use. It is not difficult to organize and can be prepared in a fairly short amount of time, and if you demonstrate effort, the response is likely to be great. Of course, this does not mean that carrying out an event will be void of problems. 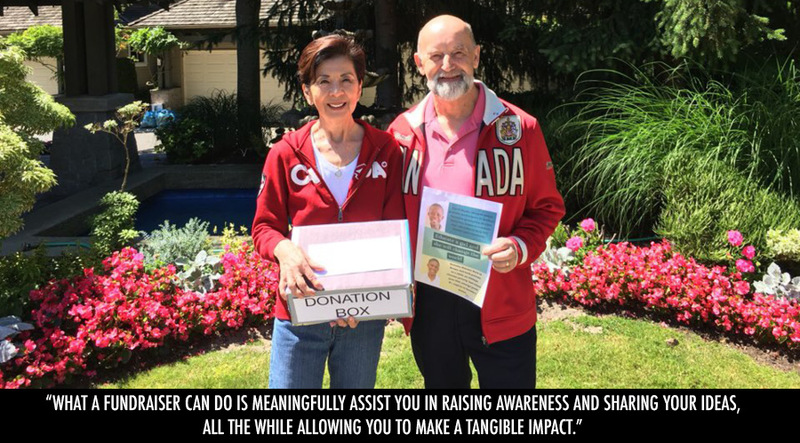 But what a fundraiser can do is meaningfully assist you in raising awareness and sharing your ideas, all the while allowing you to make a tangible impact.